Media Perspective on Production Inkjet. Media Compatibility Considerations . Media selection plays a crucial role in the quality and performance of production inkjet. Several considerations affect the paper selection process, including how the media is treated or coated and what ink sets run on the device. Above: Zanders offers its coated Zanjet Gloss & Silk product. Amy Ambos, inkjet sales manager, North America, Zanders GmbH, adds that print providers should develop a business plan that includes understanding long-term paper requirements. Preferred product should then be tested with the OEMs to confirm performance—including acceptable speeds, ink usage, and achievable densities. Paper price and availability should also be measured against performance to understand total return on investment. The final step is determining how the product performs through the finishing process. 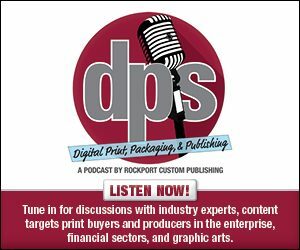 In terms of the considerations, Scott Harman, director, digital, Appvion, suggests print providers consider print quality, runnability, and availability when reviewing substrates for production inkjet. Prior to investing in production inkjet, print providers should identify what applications they will be producing. When working with a paper manufacturer or distributor to determine media compatibility, it is essential to provide the specific OEM press model as well as the ink set used and any plans for media pretreatment. “The paper team uses that information to discern which papers will help the printer be most successful. Inkjet media solutions are frequently specific to equipment models, ink sets, and pretreatment, so the most complete information is helpful,” says Pipo. The ink set—dye or pigment—plays an important role in selecting the appropriate substrate. The type of ink selected should be based on the applications generally run on the press. Not all papers work with both ink sets, however some do. “It is always best to speak with printer and paper manufacturers prior to deciding on an ink set. Both providers offer unique perspective and typically provide lists of papers that are certified on specific presses and ink sets,” adds Dorothy Fulton, manager, sales support, Mitsubishi Imaging. Pipo says the type of press and ink set to invest in is an important conversation between client and OEM that happens in early discussions of deciding which platform best fits the business. “Among the factors for consideration will be the type of business applications the printer serves, expected quality levels, durability, and mailing and finishing considerations. “Dye-based inks are best suited for short lived, color vibrant work—applications such as direct mail, transactional, and newsletters, which are often read and then discarded,” says Fulton. Dye-based inks contain various optical compounds that increase color brilliance and saturation and capture fine line detail. They can however fade or shift in color after long exposure to direct sunlight and smudging is a possibility when exposed to excessive moisture or humidity. Pigment inks offer better color stability and longevity because of the way they bond to the paper. “Although pigment inks tend to resist water and UV light better, they are more expensive and lack the color range that can be achieved with dye-based ink systems,” says Fulton. “Chose the ink set that allows you to achieve the quality and performance acceptable to your clients. Acceptable print quality is achievable using all ink sets, however, results per substrate will vary,” shares Ambos. Inkjet media is available as coated, uncoated, and treated. Primers and treatments are designed to provide a uniform surface and can be added to uncoated paper inline to improve media performance. Coated media options are specifically designed for inkjet production for optimal performance. Alternatively, inline primer treatments pre-coat paper before the printing begins. Fulton says the primer creates a uniform print surface to uncoated paper, slows ink penetration, and helps to create “better” color and quality than if not applied. She says there are costs associated with this method, and production speed is affected as there is another step in the process. While there are several options to choose from, Fulton says it is important to keep in mind that offset papers are optimized for offset printing, a transfer system using high viscoelastic inks; and inkjet papers are optimized for inkjet printing a direct discharge system using lower viscous inks. “Papers specifically engineered for a process typically perform better. Even as systems continue to develop, it is most likely that offset papers suitable for inkjet printing will continue to be narrow in range if optimized resolution and maximized production speeds remain driving factors,” offers Fulton. All of the factors that go into choosing a media affect the quality that comes off press. Depending on the application, quality demands may differ drastically. Maydak says it’s true that paper plays a critical role in the image quality and color reproduction of a print job. She says that while OEMs are constantly improving printing technologies and inks to achieve the vivid color and crisp imagery demanded by the market, paper manufacturers work alongside them to ensure they perform well. A key takeaway for print providers is maximizing resources available from their OEM, paper partner, coating, and finishing support teams. A variety of paper manufacturers and suppliers offer products recommended for production inkjet. Here we profile a few of the selections. Visit the Target Chart for a more comprehensive look at available media selections. Appvion offers both coated and treated media options for production inkjet. Harman says the company works closely with OEMs for constant testing and trials. Domtar provides a variety of inkjet papers to meet the needs of various print markets. Mitsubishi Paper Mills (MPM) manufactures coated inkjet papers in a range of basis weights and surfaces, including high gloss, gloss, and satin for both dye and pigment ink systems. The paper manufacturer offers five distinct lines in its portfolio. SWORD iJET is a premium line of inkjet coated papers in high gloss, gloss, satin, or matte that is suitable for a variety of applications including direct mail. Premier IJ Form and Premier IJ book are a bright white, lightweight matte coated grade of papers suitable for a range of publishing applications. Value IJ is a lightly coated matte paper typically used for transactional and transpromotional work. JETSCRIPT is a premium coated matte paper for high-resolution graphics. The U.S. sales subsidiary for MPM works closely with its OEM partners in the Americas to test and evaluate papers and pre-certify them if applicable. “We typically send sample rolls and/or sheets for these purposes and in return we get a test report/performance checklist and imaged samples, which we then send back to MPM for review. Through the mill’s R&D and extensive coating assets, modifications or fine tuning can be achieved to improve compatibility of existing grades, or develop new ones. Often, these modified or in-development grades are used for proof of concept by the OEMs targeting new market applications for their hardware and our papers. It’s a mutually beneficial relationship,” shares Fulton. Verso produces coated inkjet papers that enable offset-like quality on production color inkjet presses without any pretreatment or bonding agent. Sterling Ultra TrueJet comes in gloss and matte finish, and is designed to meet the needs of commercial printers. The patented offering provides a range of text and cover weights including a 7 pt. gloss and 9 pt. matte product for direct mail applications. TrueJet Book is designed for high-speed, book publication print runs. It features a specially designed patented matte coating, which enables full-color variable inkjet printing to meet the needs of the book publishing market. Both Sterling Ultra TrueJet and TrueJet Book are optimized for performance on HP PageWide and Kodak Prosper Presses. Additionally, Verso manufactures coated web offset papers, folio sheet papers, as well as media for electrophotographic equipment. The Verso Digital team maintains relationships with OEMs to create successful solutions for the mutual customer base. As a U.S. paper manufacturer committed to producing high-quality coated papers for digital printing for over two decades, Verso has a knowledgeable digital team well equipped to answer media compatibility questions across the gamut of OEM inkjet presses. Zanders offers its coated Zanjet Gloss & Silk product. Zanjet is qualified with pigment inks on the HP PageWide and Kodak Prosper and dye inks on the Screen TruePress Jet520ZZ and NX. Zanders’ products are thoroughly tested by the OEMs during the qualification process to determine optimal profiles, speeds, and drying. Profiles in many cases are shared by the OEM. Print providers offering production inkjet must have knowledge of the nuances of media compatibility. Depending on the application, factors like ink set, primers, and coatings are important considerations. One thing is certain, media manufacturers are committed to ensuring success throughout the process.